Prime Consultant: Stantec Consulting Ltd. 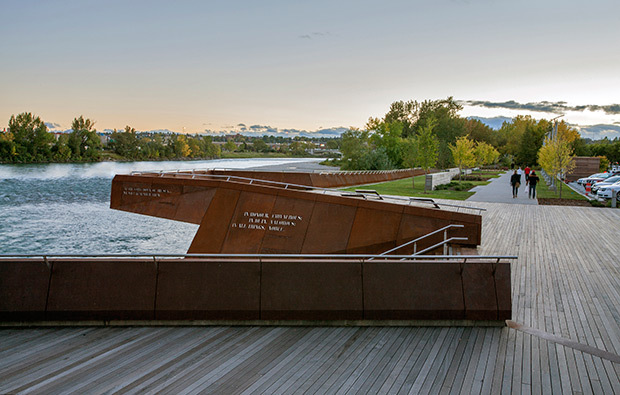 The project is a significant urban landscape located along Calgary's Bow River and a vehicular thoroughfare. 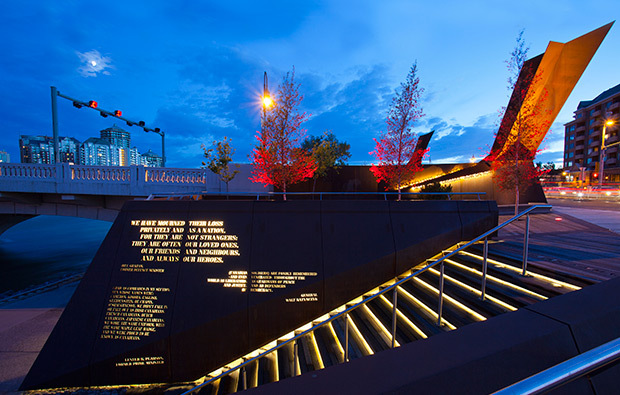 The active pedestrian ‘river walk’ also serves as a setting to memorialize veterans from WW 1. In the words of the architects, the project “is a multi-scalar space of interaction”. A carefully choreographed series of spaces move the visitor through several grade changes from an upper roadway down to the riverbank. Wood and 'folded’ steel components are integrated as surfaces, benches, frames and canopies. 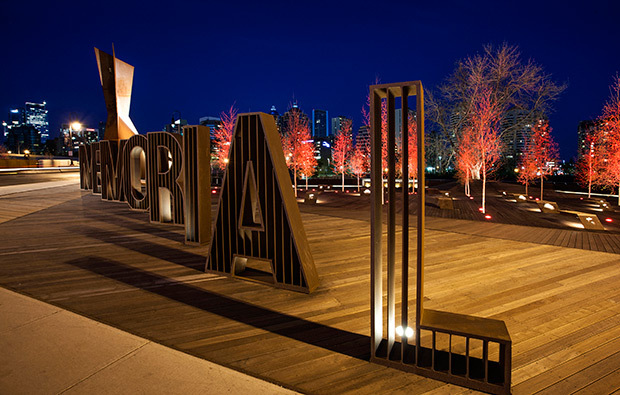 An illuminated bosque of trees and other landscape elements provides a natural and symbolic sense of ‘nature’. 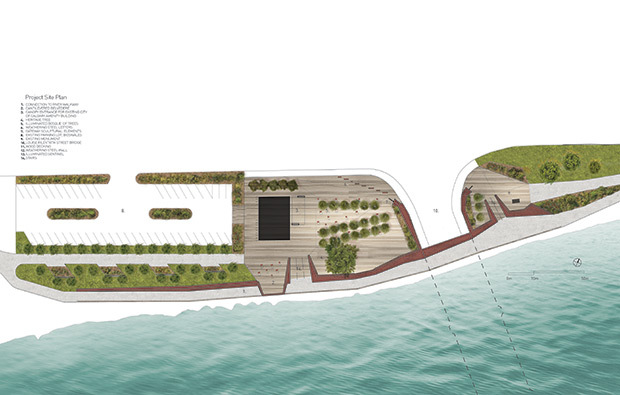 Perhaps most importantly, the project draws upon the emotive qualities of the river itself as a means to generate contemplation and remembrance by passersby.